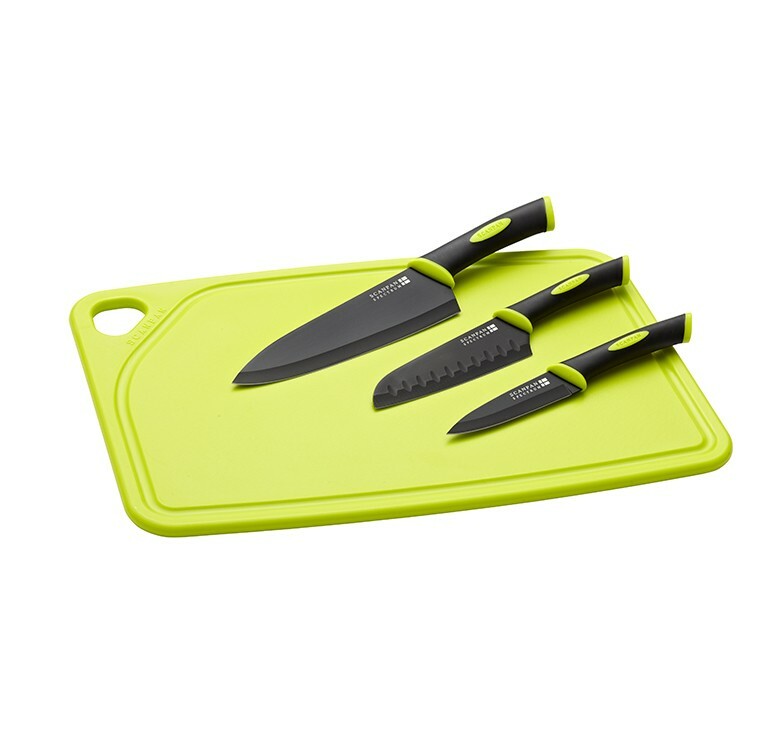 Be on the cutting edge with the Spectrum 4-Piece Cutting Set. 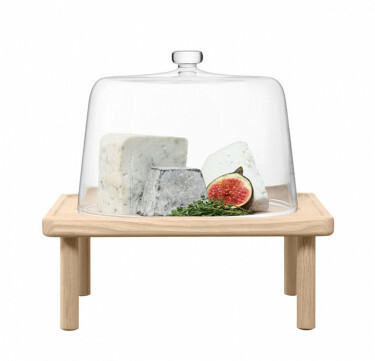 With a cutting board, a utility knife, a santoku knife, and a chef's knife, you're on your way to becoming a slicing and dicing master. 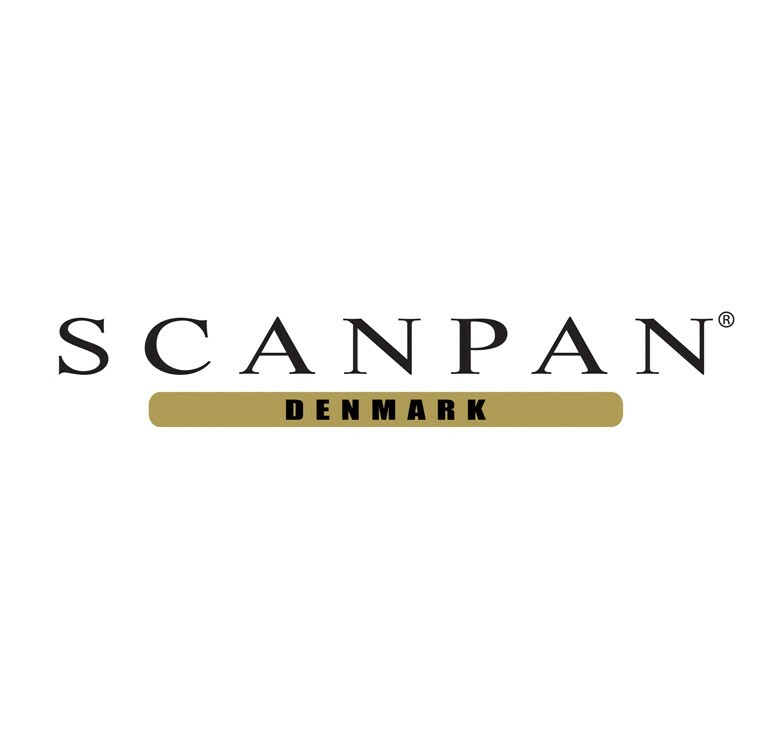 SCANPAN is one of the world's leading manufacturers of non-stick products, producing kitchenware of the highest quality and durability in the past five decades. The cast aluminium products with patented ceramic titanium coating have made up the core of their business, each product going through a rigorous production and testing processing to ensure 100% quality.